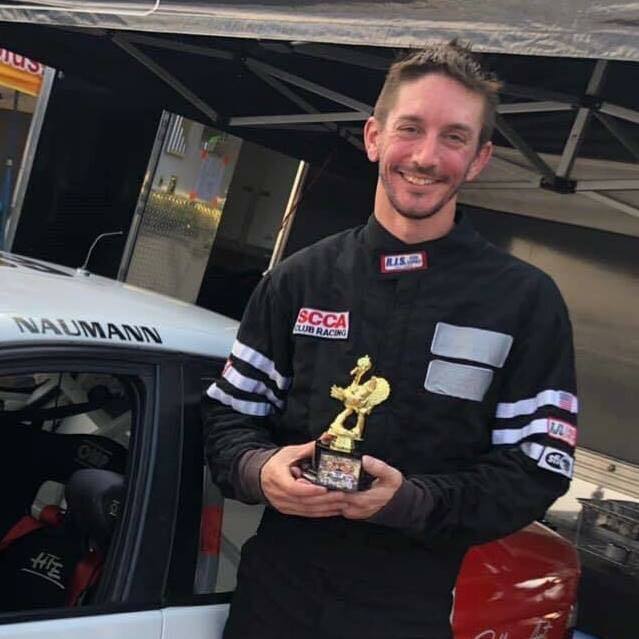 Earlier this week, Brian Naumann (1977-2019) was found deceased in his home. Brian was a regular Spec Miata competitor both in the region and at Majors races. He also raced with various other sanctioning bodies, including Waterford Hills, and participated in the 2017 Runoffs at Indianapolis Motor Speedway. Brian was truly one of the great personalities in road racing. He was always living in the moment and his goal was to have fun any way he could. No further details are available at this time. We ask that you keep Brian’s family in your thoughts. I don’t know that I can select one specific story about Brian, but I will say that after meeting Brian several years ago and then spending many weekends at the track with him, I certainly learned that he very much had a “Brian Way” of doing things. To most of us, the “Brian Way” seems unconventional, but it really was as if he was driving a race car every single day of his life. He took chances. He lived right now for the moment. And above all, he had a lot of fun. There are certainly times that I wish I could implement a little more of the “Brian Way” in my life and I will continue to attempt to do so. Also, have a sausage McMuffin for Brian. At the track anyway, he always seemed to have one in his hand or marinating in the truck for later. “Hey Brian, do you want some of this chicken we are grilling for dinner?” “Nah, thanks. I’ve got a McMuffin from this morning in the truck.” Hah! Brian Naumann was the kind of guy you always wanted to hang out with after the race. He knew how to find the balance of having fun, while still being competitive and keeping everything in perspective despite running in arguably the most competitive class in road racing. Over the years Brian really perfected his craft and was determined to get better. I remember having to talk him out of bringing his pristine spec Miata out to a rallycross. Brian just wanted to have fun, learn something, and finish the race in the best position his skills allowed, and was always the first person to find you in paddock with a big smile on his face to talk about the race. In a class with ruthless competition, Brian seemed to always be having fun regardless of the outcome, and seeing him have some very successful races lately in the BMW was more than well deserved for him. A driver I wish I knew even better than I did, RIP Brian.